and very effective against agents of Dark. Like all weapons that have a Holy modifier, Skeleton enemies in The Catacombs will not reassemble when killed with it even if the Necromancers are still alive. 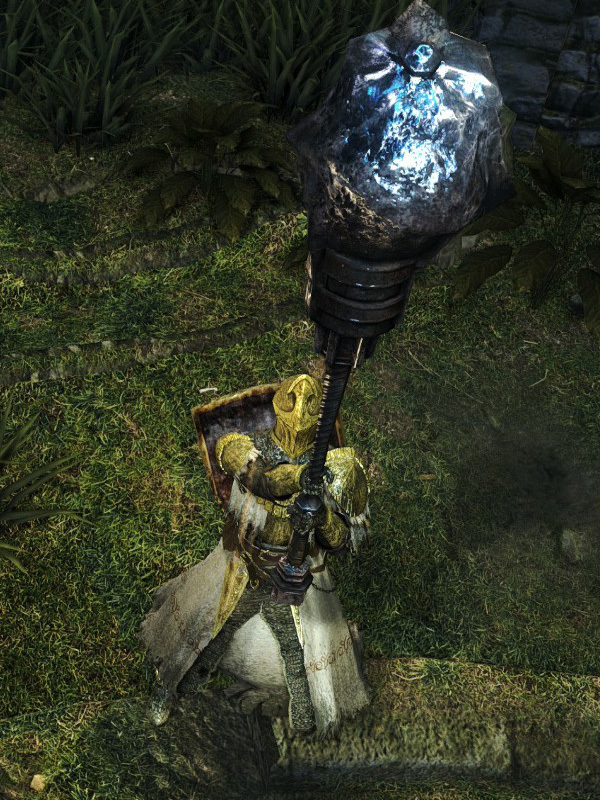 Two-handed strong attack is replaced by a Wrath of the Gods effect that scales with the weapon's Magic damage. This attack uses 200 durability points per use. 84% STR, 116% FAI scaling.